Today we introduce a new feature that will be published every so often. 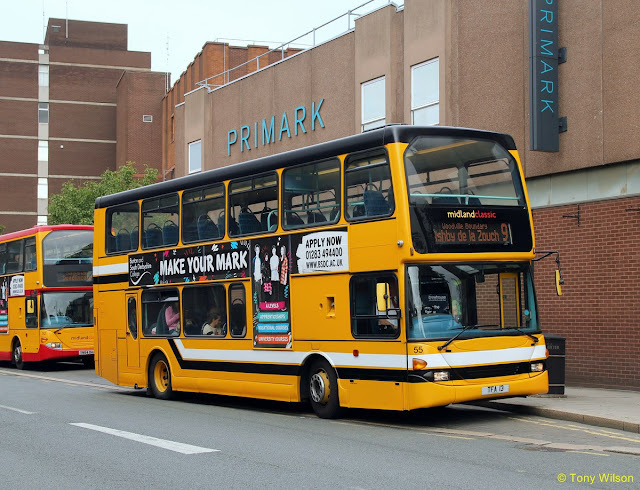 The Pictureview articles will cover all sorts of subjects and we commence with some images of double-deck buses in the news over the past few months or so. Go-Ahead Group subsidiary the Oxford Bus Company recently placed into service a batch of low height Wrightbus Streetdecks. Perhaps the colour shade is not to everyone's liking, but coupled with the vehicle's reshaped roof dome, the new design appears to be better proportioned and not so heavy around the front upper deck pillars. Number 651 heads out over Magdalen Bridge from the city centre on its way towards the Blackbird Leys suburb. 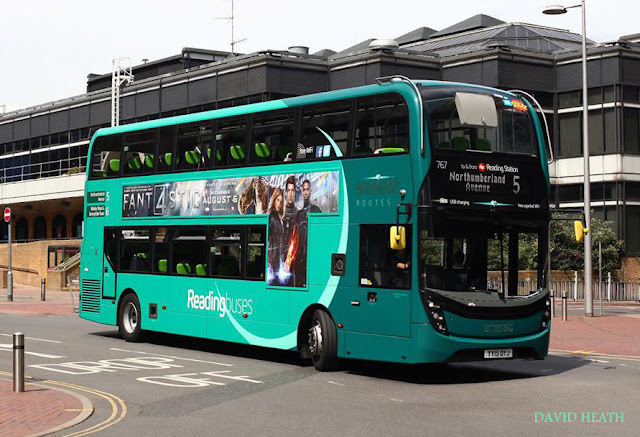 Like one or two other operators, Reading Buses does like to display a multitude of liveries on their fleet of vehicles. Route branding features heavily as illustrated here on fleet number 767 adjacent to the railway station, is one of fifteen assigned in this livery for routes 5 and 6. The new design ADL Enviro400 MMC appears to be popular with a number of operators. 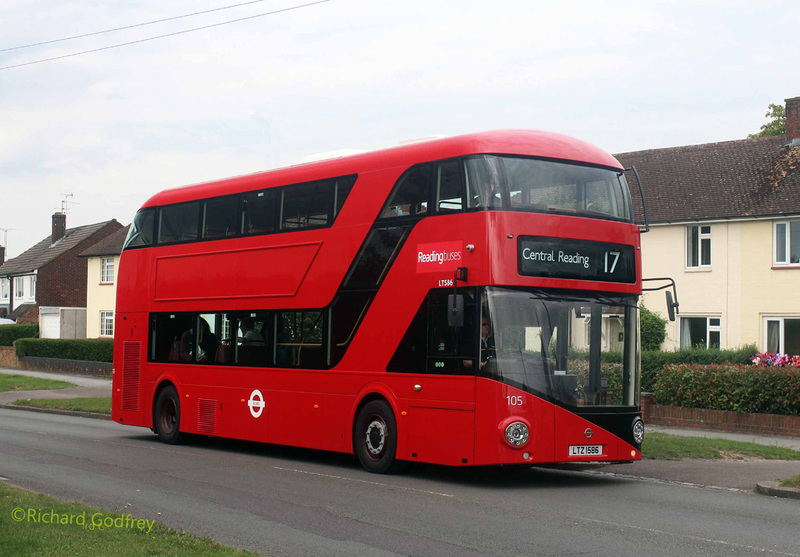 Now Reading Buses are not afraid of testing what is on the market, so one of their latest arrivals for evaluation is a New Routemaster from London, or as some call it amongst other things, the 'Borismaster'. In Reading for a couple of weeks LT 586 has been assigned temporary fleet number 105 along with local fleetname Readingbuses. 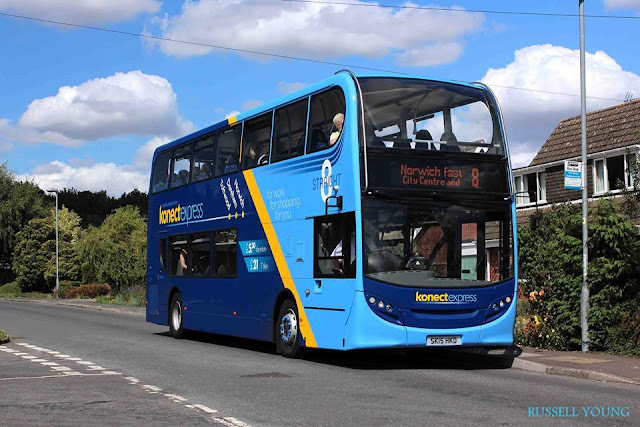 Another Go-Ahead Group subsidiary is Konectbus based at Dereham in Norfolk. Recently they upgraded their route 8 from Toftwood via Dereham to Norwich. 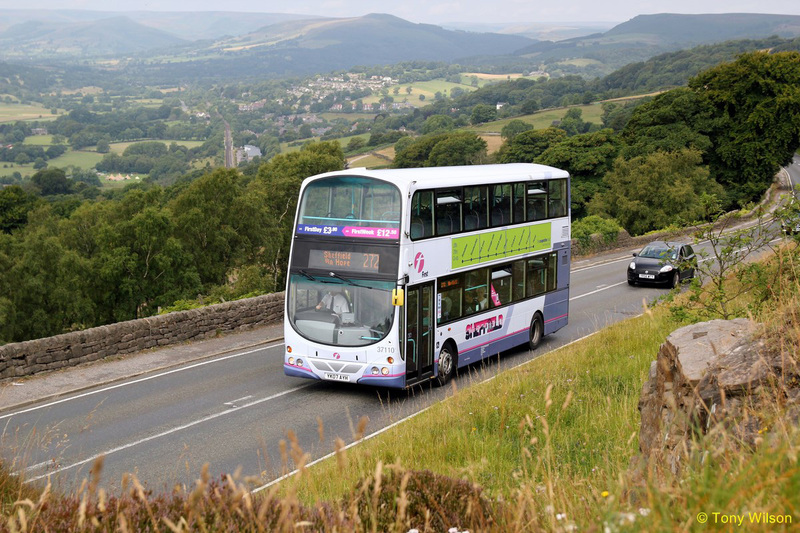 The five earlier ADL Dennis Trident Enviro400s have been replaced by a similar number of new 'classic' style buses and the route has also been marketed now as the 'Straight8'. 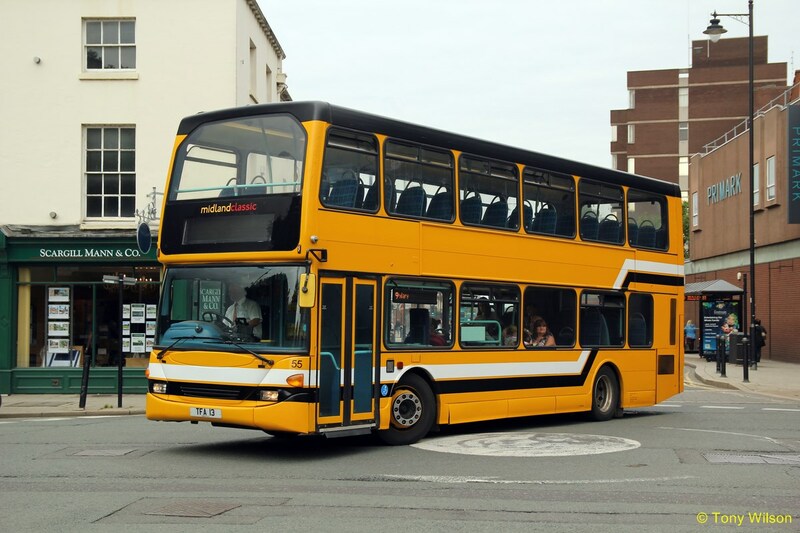 The buses replaced have now been cascaded onto the company's route 2/2A between Norwich and Sheringham/Holt, upgrading the route from mostly single-deck Optare Tempo operation. 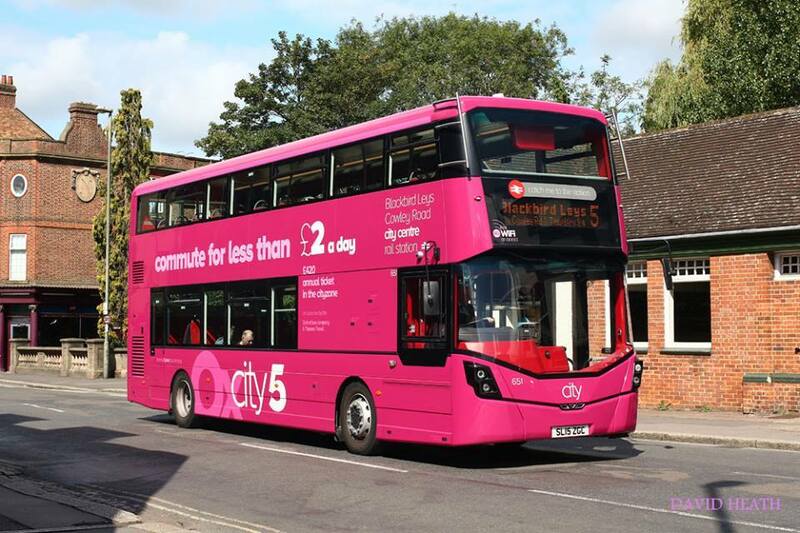 A further similar eighteen buses are set to join the fleet soon, as the company takes over the full operation of the Norwich Park-&-Ride from the 7th of September. 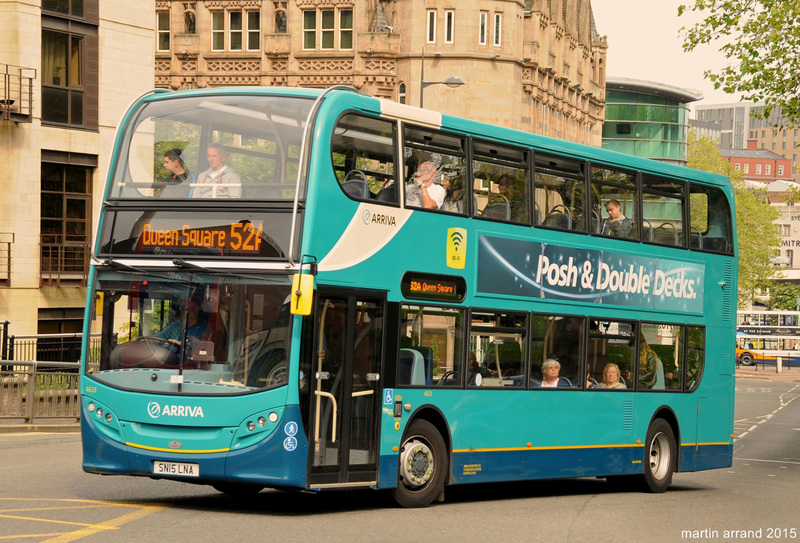 Further examples of the 'classic' style of the ADL Enviro400 design can be found in the Arriva fleet that operates in and around the City of Liverpool. A rather apt advertisement adorns the side of the bus as it heads to its destyination in the city centre. And on the subject of Scania OmniDekkas. Joining in with the 'heritage' livery theme, Midland Classic based in Burton-upon-Trent have repainted one of their own four Scania OmniDekkas into a representation of the former Stevensons of Uttoxeter colours. 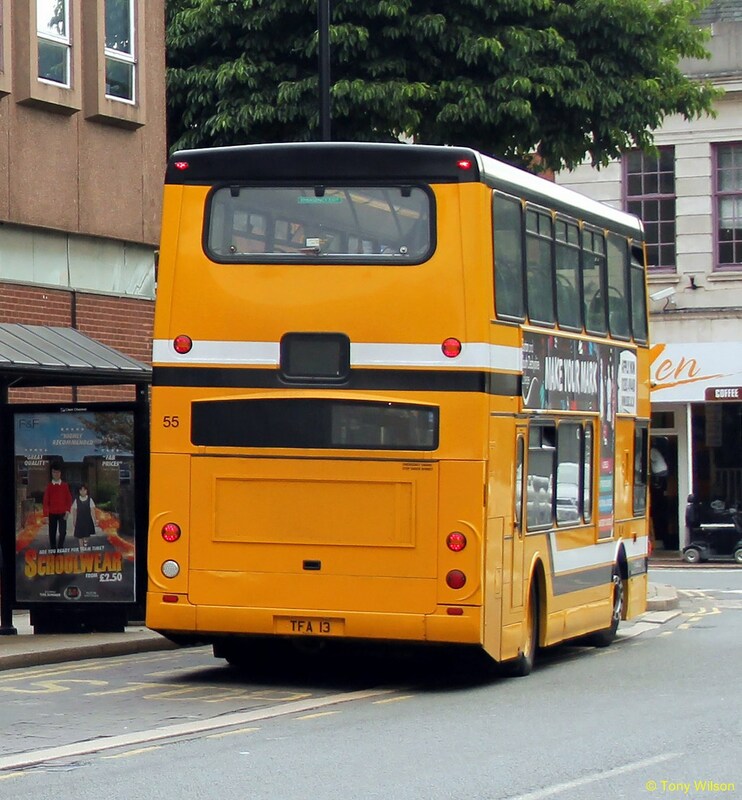 Fleet number 55 is one of four such buses recently acquired form London United/London Soveriegn. The bigger picture. First Sheffield's Volvo B7TL/Wrightbus Eclipse Gemini number 37110 almost at the summit of the long haul up from Hathersage, as it reaches Surprise View with the Hope Valley spread out below. Grateful thanks from the Focus Transport team to those who have allowed us to use their respective images.